Skin care around the eyes is extremely important to me because, compared to the rest of the face, this particular spot is considerably gentler, delicate and requires extra nursing. As you know, face creams are not the best solution for the eye area, it's necessary to find specialized one that is suitable for this purpose. Luckily, these days the selection is diverse and often, almost always, they are assorted. 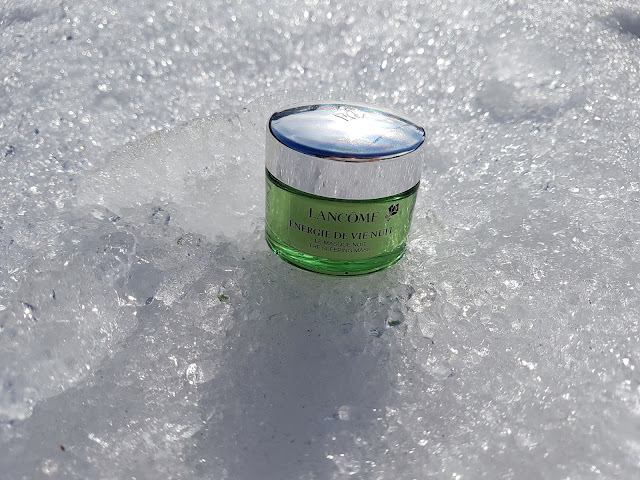 When certain brand introduce new face cream, it's usually followed by eye cream with the same formula and, to increase the efficiency, simultaneous practise is recommendable. For a while now I'm assaying Lancôme Énergie De Vie Eye: Illuminating & Cooling Anti-Fatigue Cooling Eye Gel. What attracted me to this product are three steel balls for proper application and cushy massage. 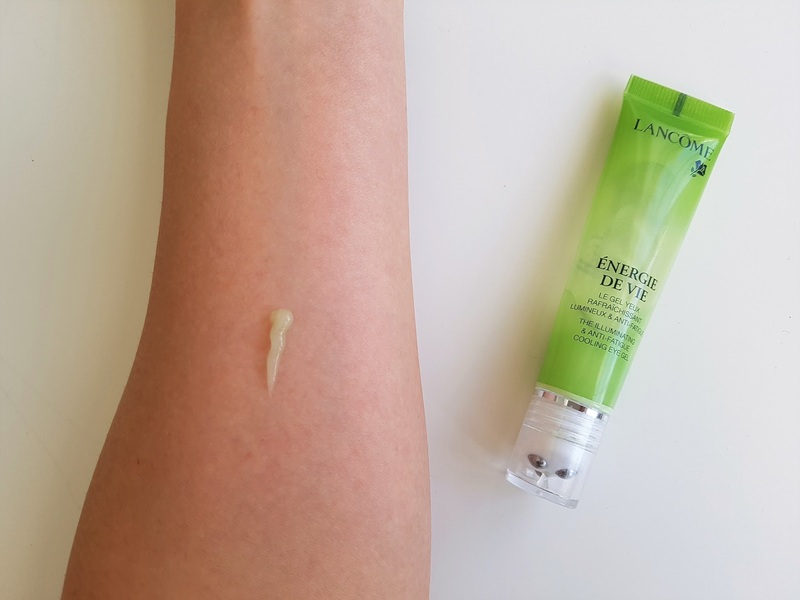 I like such packaging with which I don't have to apply the gel with my fingers and which, at the same time, provides tender massage of the sensitive area. As the name itself suggests, the texture is gelatinous, with cooling, refreshing and hydrating formula that containes caffeine and antioxidants – cranberry, lemon balm and ginseng. This article is an excellent answer when you, for example, return from night outing and wake up with puffy eye bags. It's also conducive to those who suffer from similar problems for longer period because, with regular employment, it reduces and alleviates eye bags and wrinkles. Although it comes in a 15 ml package, the consumption is minimal and it can last up to several months. I use it every night before bedtime by squeezing a small amount under my eye and then, from inner corner toward outer, lightly rubbing it in with the massager, while identical procedure is repeatable on the eyelids. If you wish, you can additionally tap it with your fingertips but I prefer the method without any repairs. A mini-massage gives me the feel of pleasure and when I wake up my eyes are invigoratingly moisturized. 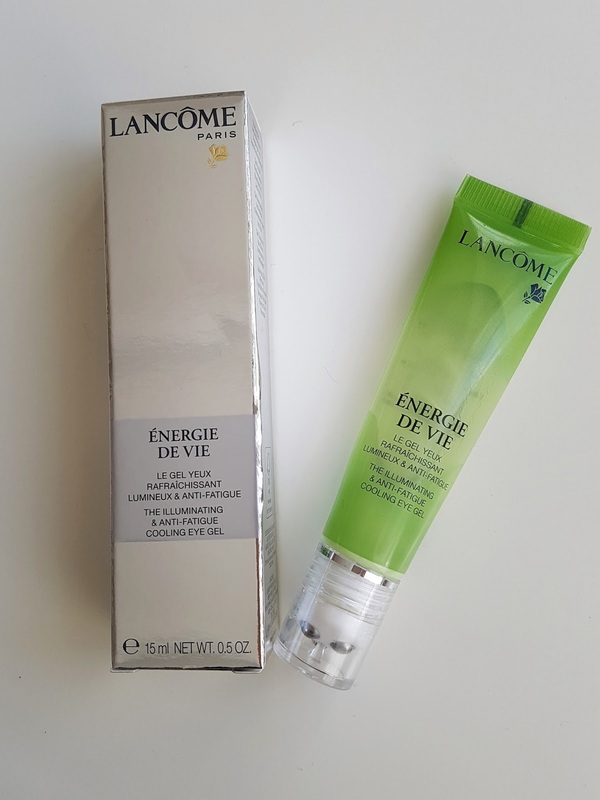 Énergie De Vie Eye ensures 24-hour hydration and can be utilized in the morning or in the evening, depending on personal affinities. 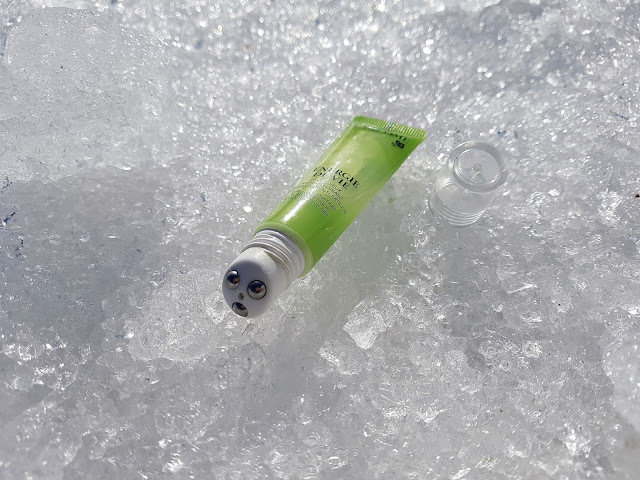 I assessed the massager with Estée Lauder Advanced Night Repair eye serum (you can read the review here) and it proved to be a convenient tool in combination with other creams and serums. I'm highly content with this cosmetic preparation and the results it achieves, specifically with the cooling factor and the massage with which you can treat yourself at your own home. Your eyes will be grateful when you open them to a „fresh view“ of a new day. Énergie De Vie collection is complemented by serum, daily cream and night mask and can be described as convincing routine that, in order to prevent premature aging and loss of skin glare, fights against visible signs of fatigue caused by stress and external pollution. 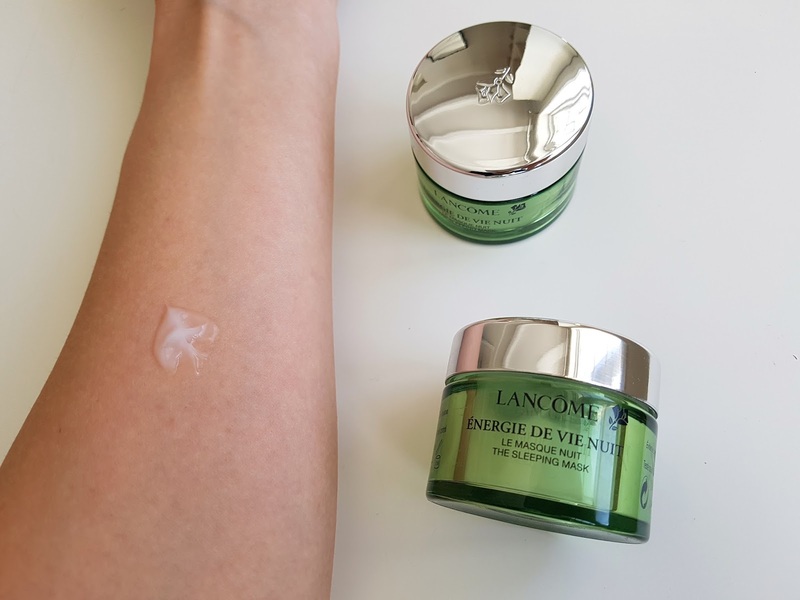 Énergie De Vie Night Mask: Overnight Recovery Sleeping Mask was, upon purchasing, obtained in a form of tester. It's formula, free of parabens and sulfates, is enriched with active and effective antioxidants and, alongside cranberry, ginseng and soothing anti-inflammatory lemon balm, enhanced by protective goji berries, gentian filled with energizing sugars and beneficial vitamin E. All listed ingredients assists in hindering the signals of tiredness, improves revitalization and insures skin gloss. This was my first encounter with a cream I didn't have to remove after usage, to wash it of or clean it with a pad. Moreover, thanks to rapid absorption that induces silky meekness and neutralization of water loss during the night, there is no danger of greasy and sticky marks on the pillow. The face wakes up hydrated, nourished, renewed, fresh and glowing. I apply it twice a week and, despite the abundant layer, outlay is fairly insignificant. 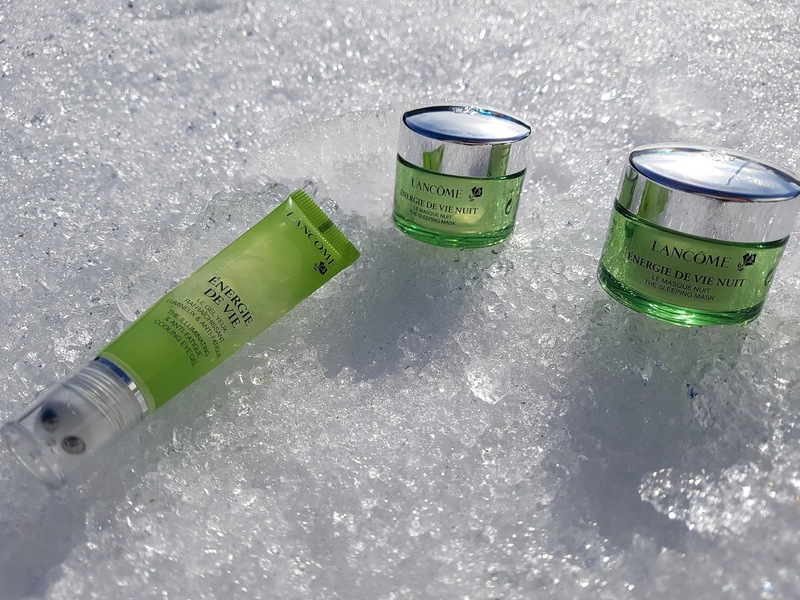 Lancôme Énergie De Vie collection is intended for soothing, hydrating and shining of the skin. I have had the opportunity to try out two depicted items and I was evenly thrilled by both. Have you used these or some other products from the collection – serum or daily cream? What are your impressions? Packaging is unique and recognizably. I also like it. love the background in the photos which gives cool impression and the packing is unique. Thank you so much dear Corina. It was very interesting take photos of this product but I'm glad to hear that you like it.